Known for the past two decades as Earsnot, the New York graffiti artist and founding member of the infamous IRAK crew, Kunle F. Martins has earned a reputation as a steal-thy and prolific writer with strong opinions. Now 38, and with an exhibition at Jeffrey Stark gallery opening this spring under his birth name, he is getting to know his truer self. “I always thought I was Kunle who smokes weed as Earsnot,” he says, “but there is another person there, and I had to find out who he is.” At first, Martins experimented with variations on his tag in drawings, but he quickly found that he’d grown tired of his graffiti style when it came to the canvas. Following conversations with artist friends such as Dan Colen, Martins felt emboldened to push himself in unexpected directions. His more recent pieces include abstract squiggles executed with white-out on Plexiglas and a crayon rendering of a smoking clown. 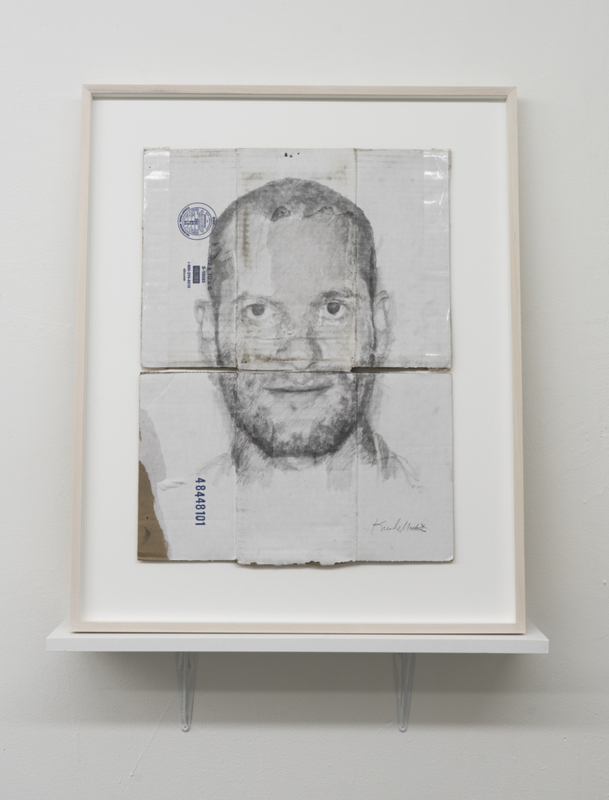 But it was his show of drawings at New York’s Shoot the Lobster gallery this past winter that signaled a swerve into more personal territory. 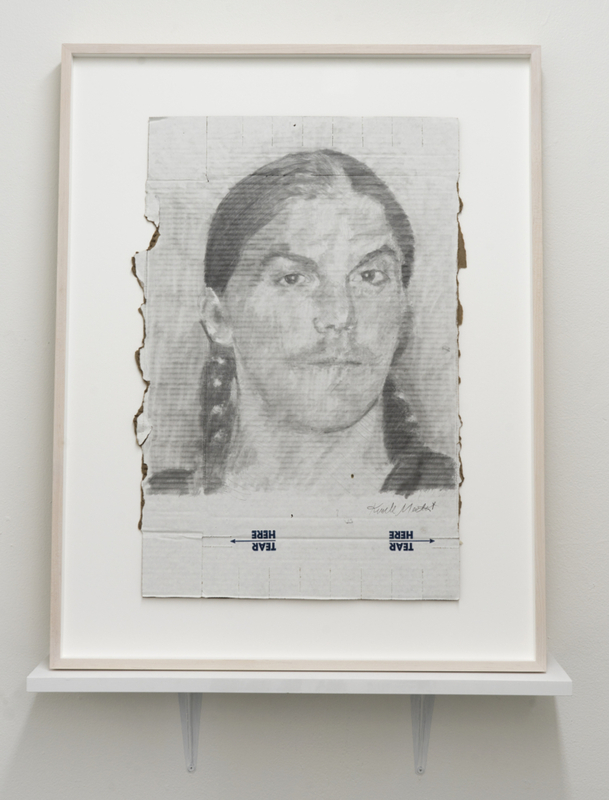 The exhibition consisted of nine graphite portraits of men and women with whom he’s had long, deep connections, including close friends, his father, and his boyfriend, the artist Jack Pierson. Each was captured in what feels like a hybrid of a mug shot and an employee badge photo (the source material had, in fact, been their driver’s licenses and passports). “These are all people I have a great admiration for,” Martins says. “But I wanted to represent the indescribable range of emotions that comes from all the memories I have with them—the good and the bad and especially the not-so-easy, the ones where I grew or changed.” Change hasn’t come easy for Martins, who has been struggling for survival both physically and spiritually since running away from home as a teenager. But now, newly sober and in a healthy, stable relationship, new chapters just keep coming.